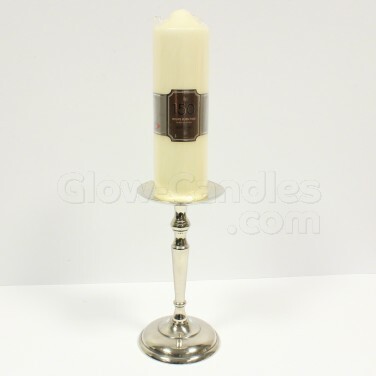 Give candlelit displays a boost in height and traditional charm with a chrome pillar candle holder. 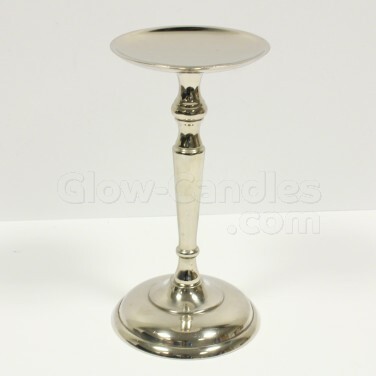 Stylish and traditional, this highly polished chrome candle holder is deigned for use with pillar candles to give height to your candlelit displays. Suitable for use with a pillar candle with approximately a 7cm diameter, this traditional candlestick not only looks decorative but also protects surfaces from melting wax.